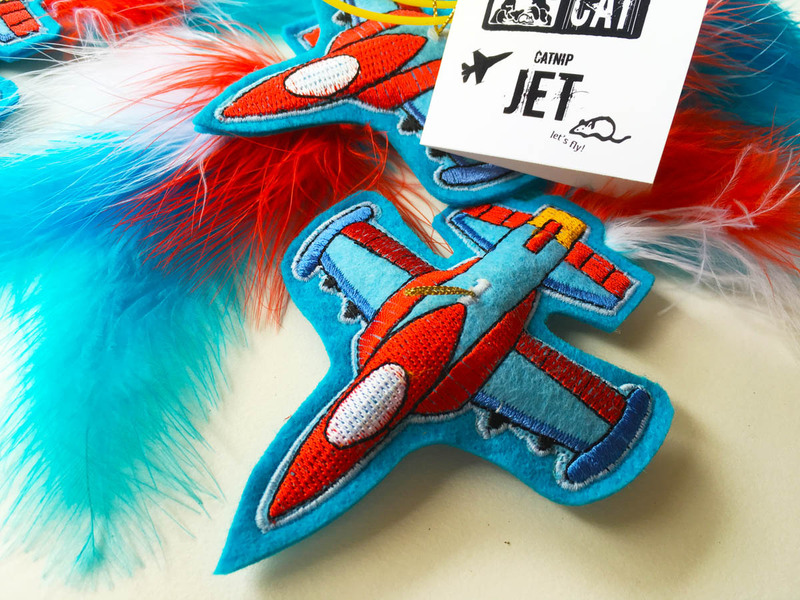 A Blue Angel Jet for Cats! 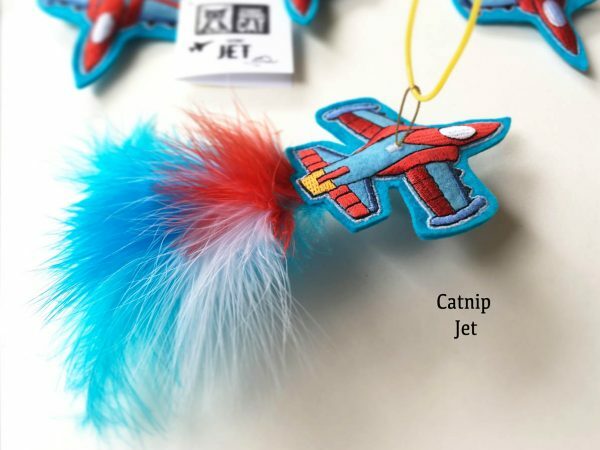 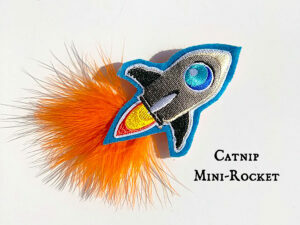 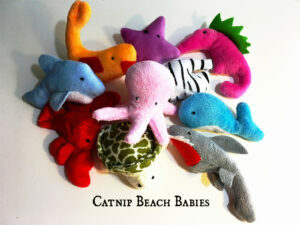 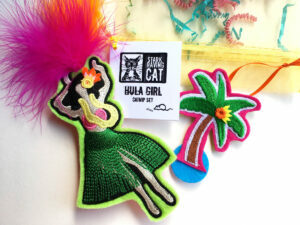 Send your cat into the wild blue yonder with this catnip jet on a cord. 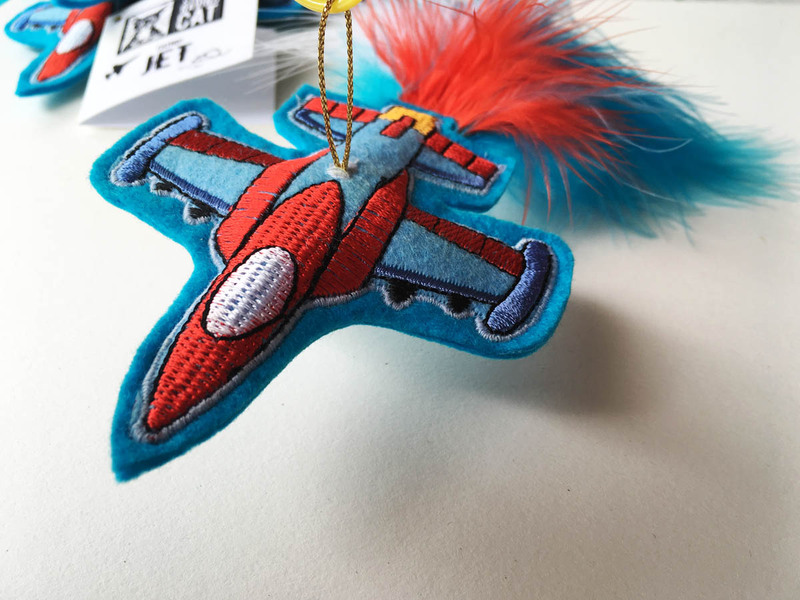 Swing the jet and watch the red, white and blue feathers ripple in flight. 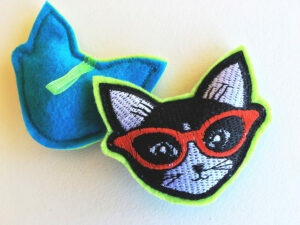 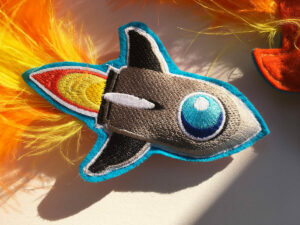 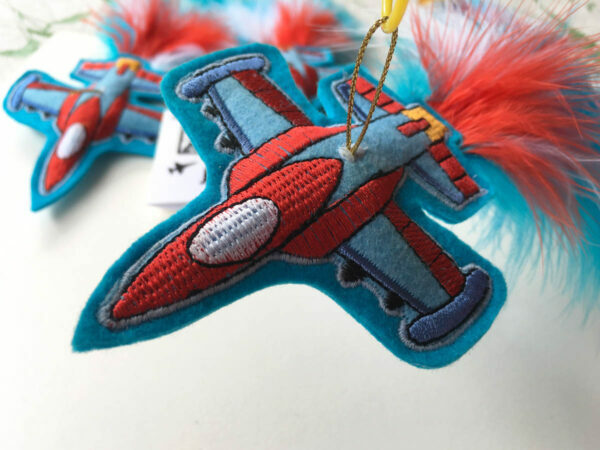 The jet reminds us of a retro kid’s toy, and also makes a fun ornament (custom order it without catnip, if desired). Featuring premium all-natural felt, filled with our famous 5-Star Catnip and a touch of fiberfill, our Catnip Jet will send cats flying! 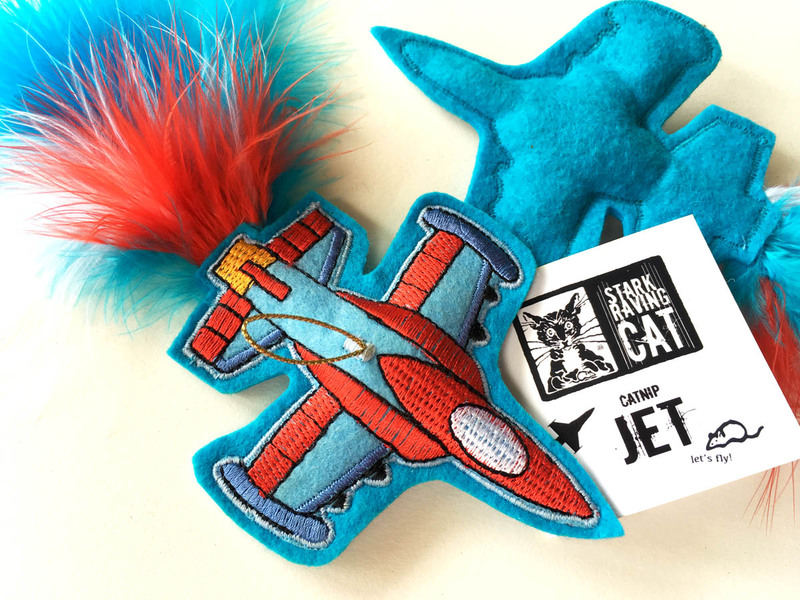 It makes a great gift for airplane aficionados, and cats in the armed services. 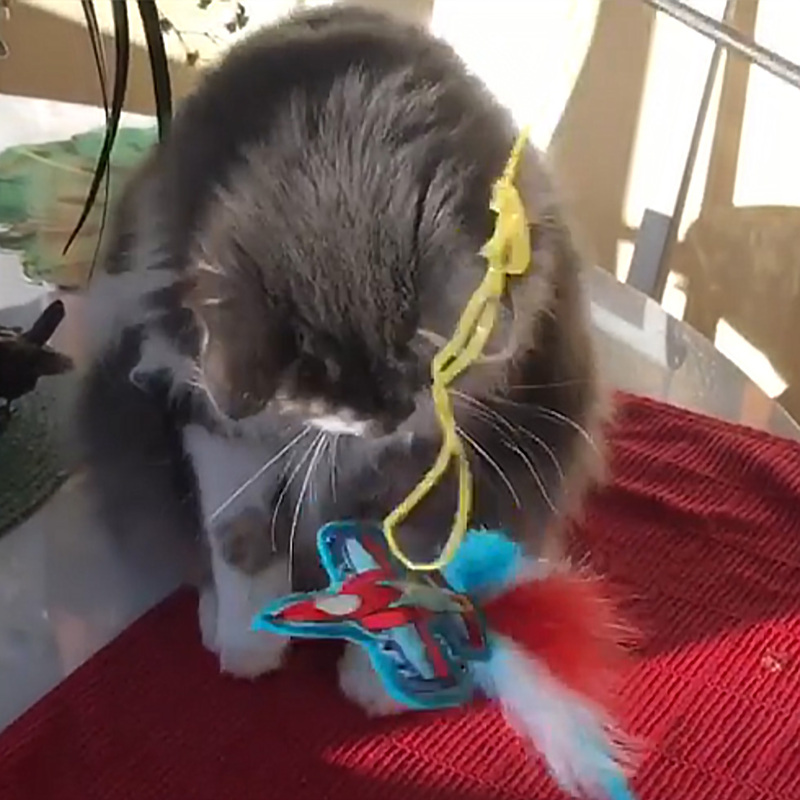 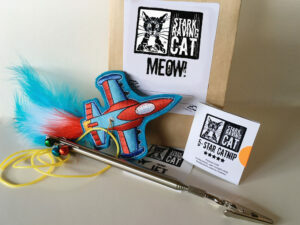 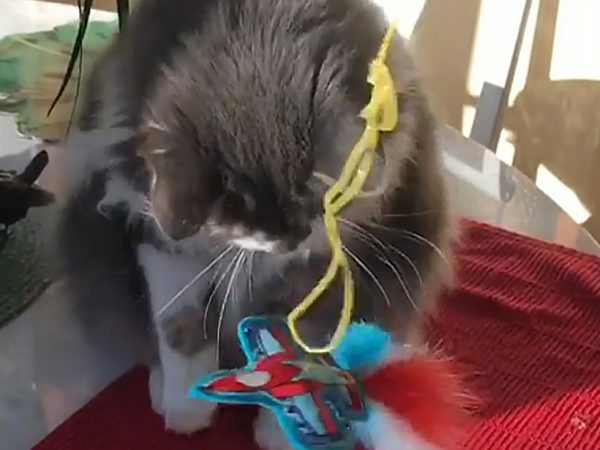 The Catnip Jet (aka “Jetnip”) is a limited edition handmade toy, only from Stark Raving Cat, and includes a gift tag (blank inside) and cord.